Join us at The Peanut on 64th on 4/15 to cheer on our Kansas City Royals! 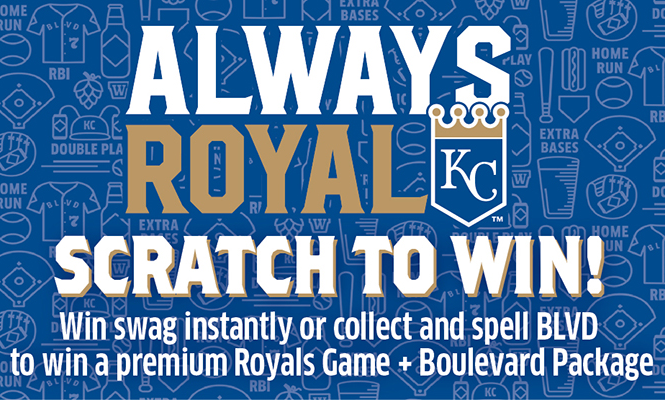 Enjoy specials on Boulevard beers, plus try your hand at a Royals scratcher card for your chance to win BLVD and Royals prizes instantly. Or collect cards to enter to win a KC Beer and Baseball grand prize, including a brewery tour, 2 premium game tickets, and spending money.